How the Apps screen changed in Galaxy S6/S6 edge? The Apps screen displays icons for all apps, including any new apps installed. By UX design’s simplification, Apps screen on Galaxy S6 support only EDIT menu. On EDIT state, you can move or uninstall items and create the folders. 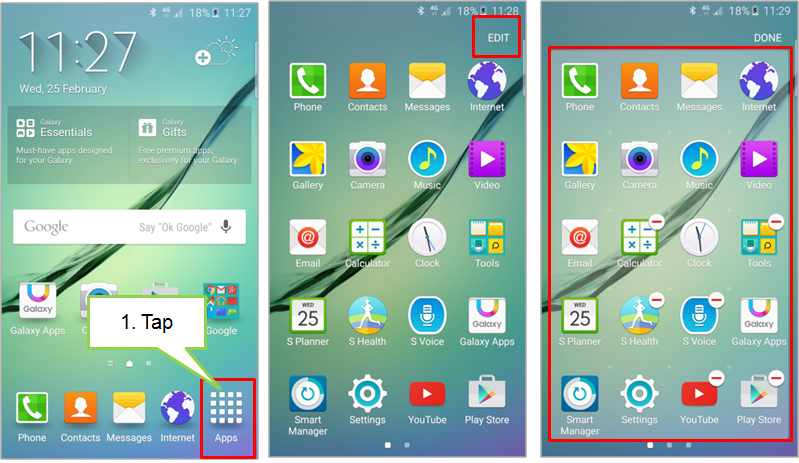 * More handy tips for Galaxy S6/ Galaxy S6 edge are now available on Smart Simulator. How to create more available storage capacity on my S6/S6 edge Smartphone? How do I use profile sharing to share my profile with others on Galaxy S6/ S6 edge?